Our guide to Oklahoma City will help you find the best kid friendly parks in Oklahoma City Oklahoma. When people think of Oklahoma City, most recall the devastating bombing on April 19, 1995. 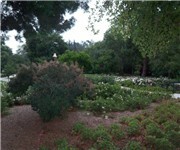 Just recently, the city completed the National Memorial in commemoration of the 168 victims. But Oklahoma City has exhibited a courageous resolve to move forward. The newly renovated Myriad Convention Center, along with area hotels that offer some 12,000 rooms, makes the city a big draw for meeting planners. At heart, however, Oklahoma City is a frontier town, as evidenced by the National Cowboy Hall of Fame and Stockyards City, which is the largest cattle market in the world. Visitors should check out the historic Bricktown area, Remington Race Track, the International Gymnastics Hall of Fame, the Myriad Botanical Gardens, and the Oklahoma City Zoo, which is one of the nation's finest. There are tons of great kid friendly parks in the city of Oklahoma City, our city guide will help you find the best kid friendly parks. You may have a hard time deciding what to do in Oklahoma City, but we make your decision easy. 1114 NE 43rd St - Lacy Park is a kid friendly park located in Oklahoma City OK.
1150 NW 36th St, (405) 525-8969 - Memorial Park offers a recreation center, sprayground, playground, soccer fields, trails, and tennis and basketball courts. 12520 NE 36th, (405) 769-9852 - Minnis Lakeview Park is a kid friendly park located in Oklahoma City OK.
1300 N McKinley Ave, (405) 525-0288 - McKinley Park offers a recreation center, gymnasium, sprayground, playground, baseball and soccer fields, and basketball courts. 1300 NE 33rd St, (405) 424-1853 - Northeast Center Park offers a recreation center, playground, and swimming pool. 1329 NE 48th St - E.W. Perry Park is a kid friendly park located in Oklahoma City OK.
1498 NE 19th St - Pitts Park is a kid friendly park located in Oklahoma City OK.
1500 Camden Way, (405) 917-5648 - The park in Nichols Hills features a playground and gazebo and is the site of various community events, including the annual Fourth of July Parade. 1600 N Meridian Ave - EB Jeffrey Park offers a playground and a sprayground. 201 NE 50th St, (405) 321-7275 - Topping Park is a kid friendly park located in Oklahoma City OK.
2100 N Broadway Ave - Winans Park is a kid friendly park located in Oklahoma City OK.
2140 NE 28th St - Harden Park is a kid friendly park located in Oklahoma City OK.
2234 NW 117th St, (405) 751-4977 - Macklanburg Park offers a recreation center, gymnasium, swimming pool, sprayground, playground, baseball field, and tennis courts. 2399 N Coltrane Rd - Diggs Park is a kid friendly park located in Oklahoma City OK.
2598 SE 11th St - Bob Akers Park is a kid friendly park located in Oklahoma City OK.
2787 N Robinson Ave - Goodholm Park is a kid friendly park located in Oklahoma City OK.
400 N High Ave - Washington Park is a kid friendly park located in Oklahoma City OK.
4731 N Walker Ave - Douglas Park is a kid friendly park located in Oklahoma City OK.
4801 Woodland Blvd - Woodland Park is a kid friendly park located in Oklahoma City OK.
5500 S Shartel Ave, (405) 634-6408 - Lippert Park offers a playground, baseball field, and sprayground. 601 SE 25th St, (405) 631-2466 - Schilling Park offers a recreation center, gymnasium, playground, baseball field, trails, basketball court, and swimming pool. 7800 Melrose Ln, (405) 495-1777 - Melrose Park offers a recreation center, gymnasium, sprayground, playground, and baseball fields. 8303 S Villa Ave - Sellers Park offers a recreation center, gymnasium, baseball field, tennis courts, a swimming pool, and sprayground. 3033 SW 119th St, (405) 692-6054 - Earlywine Park offers a swimming pool, golf course, playground, soccer field, tennis courts, and trails. 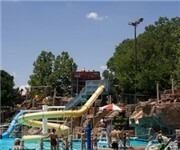 3908 W Reno Ave - White Water Bay is a kid friendly amusement park located in Oklahoma City OK. There are plenty more kid friendly parks in Oklahoma City. 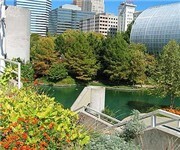 See all kid friendly parks in Oklahoma City Oklahoma.